We've got some big updates this week. If you drove by the brewery on Thursday, you might have seen a big crane boom next to the building. Thursday was "crane" day where we got everything up onto the roof that needed to go. The crane also helped us to get the freight lift put in place. 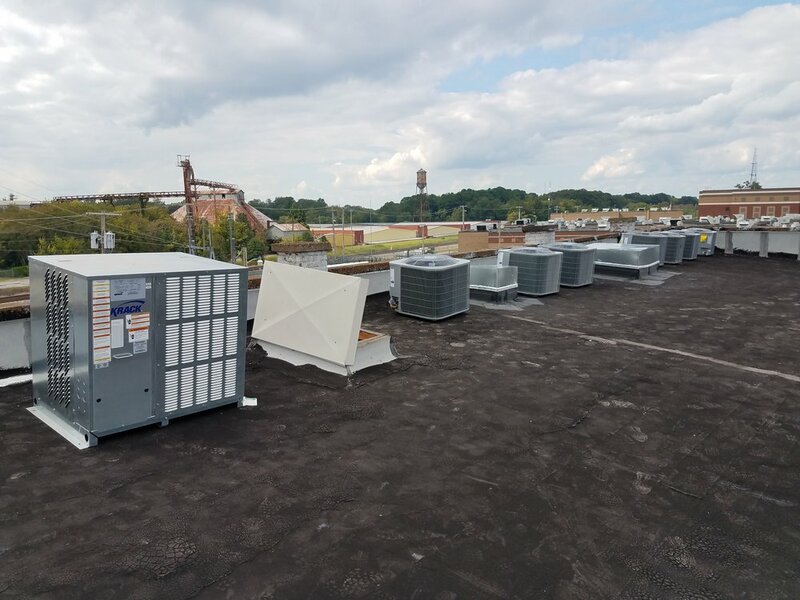 We've now got our glycol chiller, cooler condenser, and 7 new HVAC units placed on the roof. 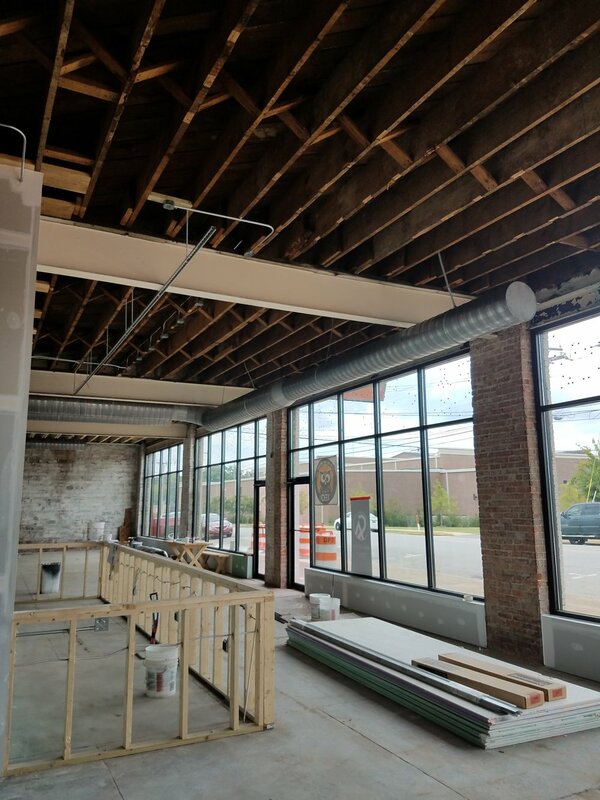 Aside from crane work, the drywall is all hung and in the process of being taped and trimmed. 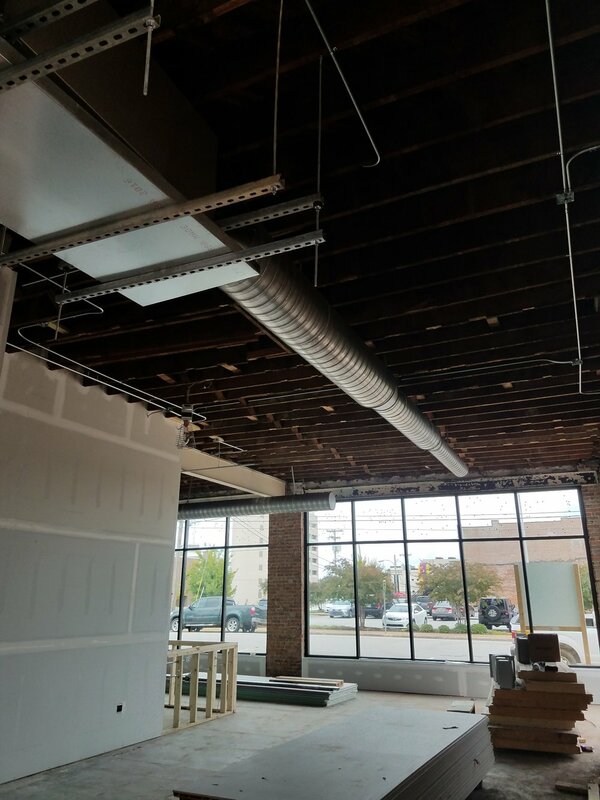 Oh yeah, and the HVAC ducts have been hung. Cheers! !